The use of protective animals such as livestock guardian dogs is growing in popularity among ranchers practicing non-lethal wildlife management and can be very effective in deterring bears. 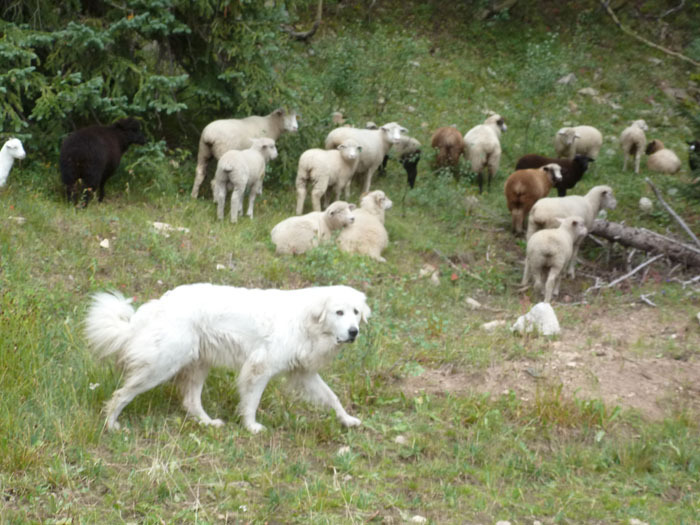 In Colorado, 84% of ranchers using livestock guard dogs gave them a good or excellent rating in protecting livestock. Livestock Guardian Dogs have been used for centuries by livestock producers in Europe and Asia. Successful use takes time and dedication to develop – starting with careful genetic selection, pup socialization and proper deployment with livestock. 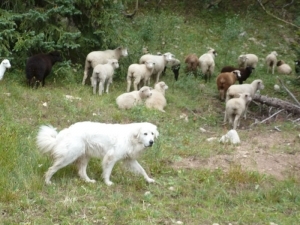 No one deterrent, such as livestock guardian dogs, is 100% effective. Rather several methods in combination – electric fencing, carcass removal and penning during birthing season, for example – is recommended. Watch a YouTube video on Livestock Guardian Dogs.